Solvay Group has opened a new office in United Arab Emirates (UAE) on April 2016, located in the JAFZA free zone of Dubai. 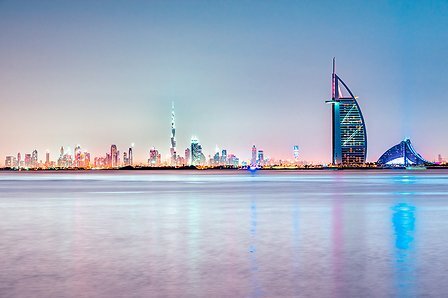 The Solvay sales office inf Dubai covers the following countries of Middle East: Bahrain, Saudi Arabia, Qatar, UAE, Kuwait, Jordan, Lebanon, Oman. This new commercial presence strengthens the Group’s presence in the Middle-East, and allows intimacy and long term relationship with our customers in a region growing at fast pace in the market segments of Oil & Gas, Energy Intensive industries, wire & cable, water treatment, polymer processing aids and architectural. We support our customers selecting the right added-value products for their applications, in accordance with the principles of sustainable development. We are a global leader in specialty polymers, drawing on an unmatched portfolio of over 35 product lines available in more than 1500 formulations adapted to the most demanding applications. To learn more, visit Specialty Polymers. Identified as a reference partner by oil and gas extraction operators, we have formulation expertise and an extensive portfolio of solutions for oil and gas extraction. Our range of solutions for oil & gas drilling and production include a wide array of products such as gelling agents, friction reducers, emulsion breakers, biocides and scavengers, corrosion inhibitors, and acidizers, all key components of completion or production fluids. See oil & gas formulations. Solvay offers a safe and transparent working environment for all of its employees.